Swipe has launched there latest tablet the Konnect 5.0. 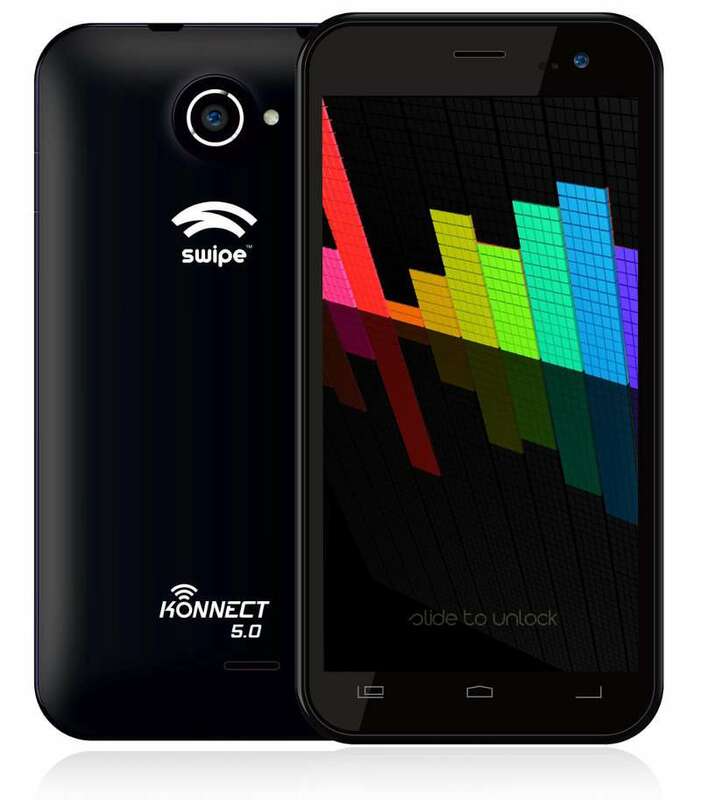 The new Swipe Konnect 5.0 features a 5 inch display having 960 x 540 pixels qHD resolution. To make the mobile run there is Android 4.2 OS and 1.3GHz 4-core processor. The Konnect 5.0 supports dual SIM and has 8.9mm thickness. It is accomplished with 8-megapixel main camera and 3.2-megapixel secondary shooter. It has 1GB of RAM and 8GB of Internal storage, also further you can expand the storage up to 32GB via micro SD card. The Konnect 5.0 would compete / VS with Micromax Canvas Juice A77, Micromax A106 Unite 2, Xolo Q600s, Lava iris X1 and Gionee M2. It houses 1950mah Battery, which seems to be OK for normal usage. The Swipe Konnect 5.0 is priced at INR 8,999 and is available in Black and White Colors. Company is also offering freebies with the handset like : screen guard, flip covers and premium business navigator worth 1499.